One of the top 3 best sellers! 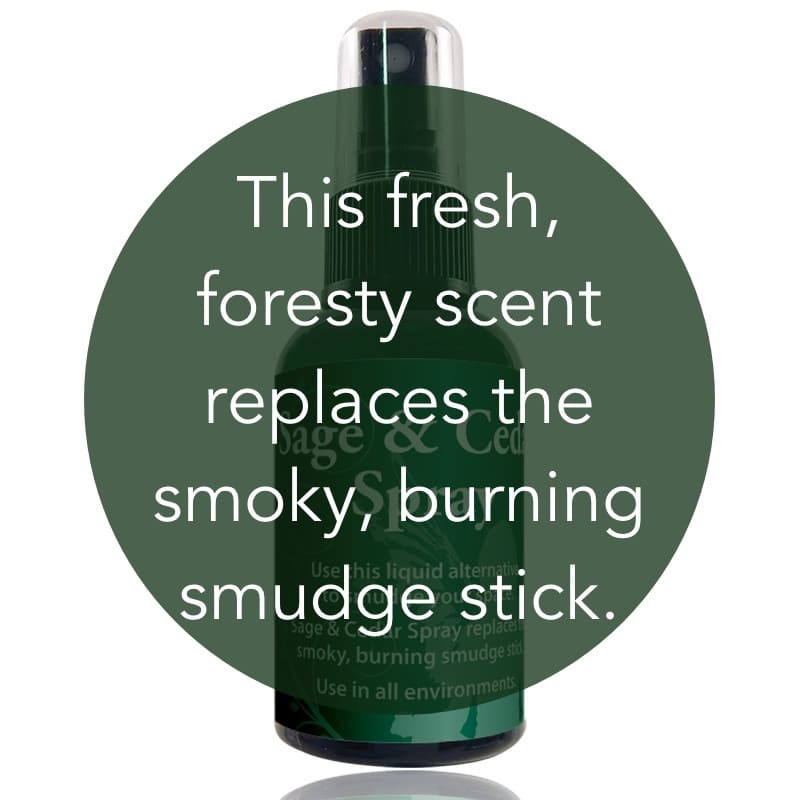 Use this liquid alternative to smudge your space. 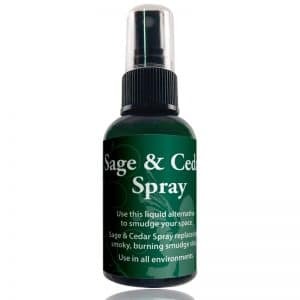 Sage & Cedar Spray replaces the smoky, burning smudge stick. Use in all environments. Ingredients: Water; Medical Grade Essential Oils of sage and cedar. More about Sage & Cedar Spray: Use it anywhere in this convenient 2 oz bottle.Smudging has been used ceremoniously for millennia to clear away negativity and to make room for positive energy. You know you need to smudge or clear your space when chaos is present, arguments abound, anger presents itself, or general feelings of agitation and frustration exist. More about Sage and Cedar– an excerpt from The Essential Guide to Aromatherapy and Vibrational Healing by Margaret Ann Lembo. 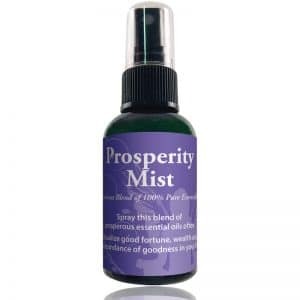 Prosperity Mist Smudge in Spray 2 oz.